Sometimes when you're walking around the East Village, you see things and you think: I wonder how that happened?! 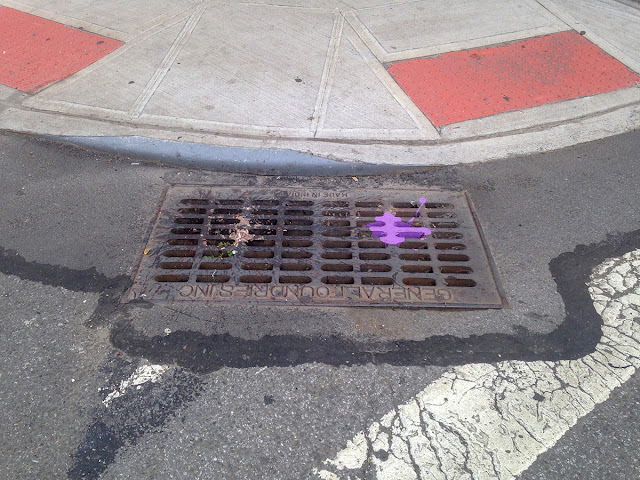 This sewer grate, at the corner of First Avenue and East 6th Street, is one of those things. To the untrained eye, it looks like two separate spillages, but if you pay close attention you will see that both the puke and the paint are the same distance from the top corners of the sewer grate, and cover the same area. This is an art project if ever there was one!